*Please note that Discount/Coupon Codes cannot be applied to items already on sale. 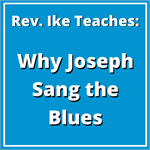 A rousing, spirited, pentecostal-style church service, with a teaching sermon that will uplift you and inspire you to get over the hurt, anger, guilt and memories of past experiences that are holding back your blessings. Includes singing by Rev. Ike! 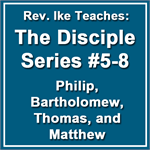 Learn the secrets of the prayer Jesus shared with his inner circle of Disciples. 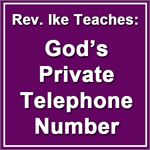 Get your prayer life in order and improve your life instantly, right here and right now! Do you feel as if you are doing all that you know to do but you don't seem to be able to catch a break? There is a definite reason why your break doesn't happen and you owe it to yourself to find out why and what you can do about it. Do you ever wonder why you are still struggling if it is not the will of the Father? 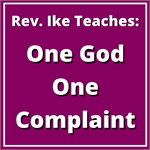 In this lesson, Rev. 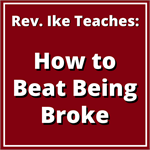 Ike teaches what the Bible says about how to be the love, success and prosperity of God in action. Rev. 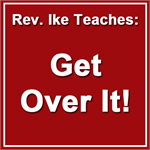 Ike teaches that ‘Your enemies are in your OWN MIND — created by your own adversarial, oppositional thinking and feeling! 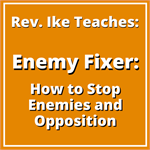 You learn the techniques of getting rid of your Enemies and how to stop people from upsetting you and getting on your nerves. You will learn how to tell your MIND what to think, tell your FEELINGS what to feel and tell your BODY how to react! Guided affirmations and visualizations will reach deep into your subconscious mind and begin to change you right here and right now! This should properly be called "Rev. 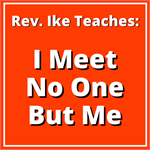 Ike's Forgiveness Series" because in these life-changing lessons, Rev. 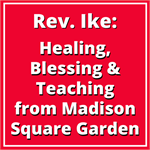 Ike teaches you how to forgive others -- and how to forgive YOURSELF -- for the sake of your own health and happiness. Learn how to get over those 'BUTS' that are standing in the way of your happiness and prosperity. 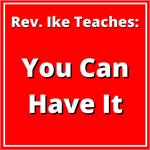 Rev Ike teaches you how to stop making excuses, start believing in yourself, and use your mind power to create the life you want! Rev. 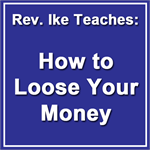 Ike has the Gift of Money and he passes on this gift directly to YOU, in this mind-blowing, spell-binding, 4-hour workshop on 4 MP3s! Discover the Ten Commandments of Money and learn the secrets of attracting joy and abundance into your life. You don't have to die to get to Heaven  or to be in Hell. 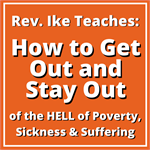 Learn how to get out of the "hell of a fix" you are in and find Heaven right here on earth. You will clear your mind of the hang-ups that are kicking happiness and money away from you! 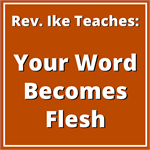 In this interactive workshop, Rev. 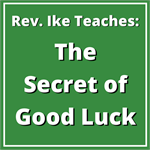 Ike wakes you up to the realization that – the way you FEEL ABOUT YOURSELF creates your circumstances and your luck – and he shows you step-by-step exactly how to use your mind to create the GOOD LUCK that you deserve! 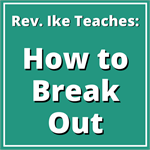 In this powerful workshop, Rev. 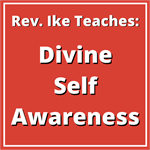 Ike shows you that the way you think and feel about yourself determines the good that you receive. 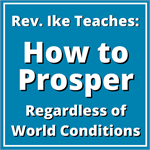 These lessons will change your consciousness, clear your mind of guilt and unworthiness, and lead you to more prosperity. Learn how to get what you want WHEN you want it! Discover the power of your words and learn how to make your words work FOR you instead of AGAINST YOU. 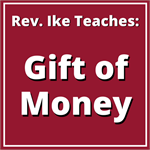 This teaching will get you mentally ready to receive MONEY and all the good you desire! Rev. 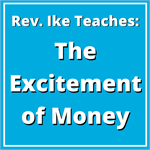 Ike reveals the "10 Commandments of Money" and the "psychology of money" that will make your mind an irresistible magnet to draw money to you. 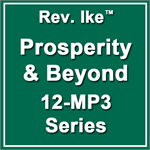 Listen to these audio lessons and condition your subconscious mind to receive the prosperity you deserve. EVERYTHING begins in your mind, and God-in-you creates for you according to what you have made up and settled in your mind. You'll repeat out loud powerful affirmation treatments with Rev. 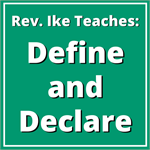 Ike that fix your good desires firmly in your subconscious mind. 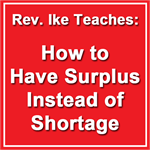 In this very practical lesson, Rev. 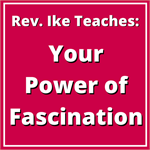 Ike reveals the secrets of male and female psychology that will revolutionize your relationships! You will learn techniques for getting along with both the men and women in your life that will bring remarkable results! Whatever you focus your thoughts on – be it good or evil – you will draw into your experience. You'll learn how to STOP being fascinated by your problems and worries and to use your power of fascination to magnetize you for love, success and prosperity. What you SEE (in Your Mind's Eye) is what you GET! 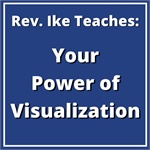 In this life-changing 5-mp3 series, you participate and learn to use the powerful technique of Visualization as Rev. 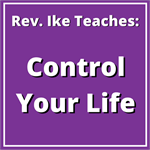 Ike teaches you, step-by-step, how you can manifest everything you want in your life! In order to get what you want, you must FEEL yourself having it. 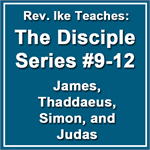 The Bible story of Jacob and Esau is revealed as a story about the workings of your MIND! Learn how to use the power of your emotions to create the good that you desire. 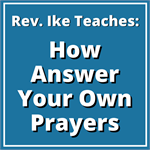 Prayer is not answered by a God-in-the-sky -- but by You! You'll learn the importance of FAITH/BELIEF -- of ACCEPTING the answer in your subconscious mind -- and how you must evoke the FEELING that you ALREADY HAVE that for which you are praying. An inspiring, motivating and FUN experience. Rev. 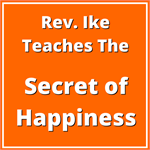 Ike reveals his secrets and techniques for creating happiness, success and prosperity. You’ll repeat empowering affirmations to raise your consciousness and implant new positive beliefs in your mind! Rev. 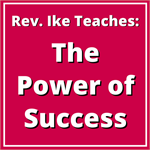 Ike entertains as he leads you through the four steps for success in every area of your life! You'll learn: Your Power of DECIDING — how BELIEF makes you unstoppable — how to VISUALIZE what you want— how to use FEELING to get your BLESSING! In this mystical, eye-opening teaching you realize that you cannot experience anyone or anything outside of yourself, except those which correspond to something WITHIN YOURSELF. 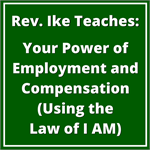 Learn how to attract the right people, command God and use the Law of I AM! This dynamic 20-minute audio can guide you to physical or emotional healing, peace of mind and the blessings of success and prosperity. Includes powerful treatments for healing, and teachings that condition your mind to realize that you deserve the best! 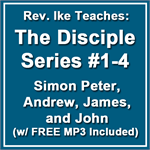 In this short power-packed audio lesson (26-minutes long) Rev. 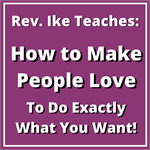 Ike teaches you how to CREATE happiness in your life and attract the right kind of people and relationships! Affirmation treatments with Rev. 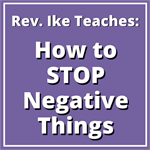 Ike will activate your power of Happiness! During this uplifting and motivating workshop you will repeat empowering affirmations, visualize yourself enjoying the good that you desire, and impress upon your subconscious happiness, love, success and prosperity! 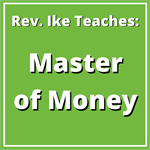 Learn How to Get the Pay You Want from the “Universal Paymaster"! Rev. 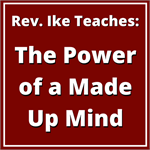 Ike teaches that your first job is working with your mind. It will raise your consciousness and set you up to receive the fulfilling job and abundant compensation you deserve! Your WORD is what you think, feel, believe and SAY about yourself — and your WORD ALWAYS comes into manifestation as your EXPERIENCE! You'll condition your mind and learn how to apply "The Law of I AM' to have GOOD HEALTH, HAPPINESS, SUCCESS & PROSPERITY. Rev. 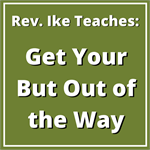 Ike interprets the Bible story of Joseph and his brothers to teach you not to share your dreams and desires with the WRONG people, because some envious people will discourage you – and tell you that you CAN'T achieve the good that you desire! You don't know anything until you know yourself! And when you get to know yourself, then you’ll get to know EVERYBODY that you need to know and EVERYTHING that you need to know. 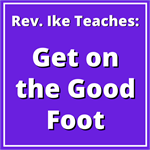 To “Get on the Good Foot” means to go forth into life with both a good IDEA about yourself and a good FEELING about yourself (self-esteem and self-love).